Are there any family attractions in Tenerife? Plenty, as it turns out! Tenerife has long been a popular destination among families – its wonderful weather, beautiful beaches and excellent resorts all make it a natural choice for parents looking for somewhere to escape with the kids. There are, naturally, a host of family-friendly attractions on this Canary Island. If you’ve never been before and are wondering what to expect – or just want some new ideas of how to spend your break – check out our guide. 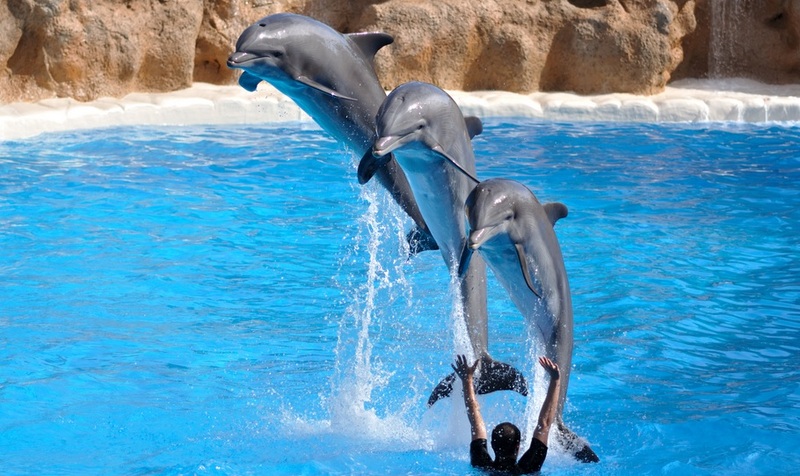 Loro Parque is undoubtedly one of the best family attractions in Tenerife. It’s home to a wide array of exotic animals – including parrots, penguins, sea lions, aligators, flamingos, tigers, chimpanzees and many, many more. There’s an aquarium with an underwater viewing tunnel, allowing you and the kids to get incredibly close to the majestic sharks that patrol the waters. There are also several kids’ play areas, where little ones can let off some steam while you and your partner relax with a drink. You’ll also find a cinema in Loro Parque, which shows a film about various ecosystems from all over the world and explains why conserving them is so important. To cool off from the hot Tenerife sun, head to Siam Park. This is the island’s largest and most exciting water park, providing thrills and spills for people of all ages. There are dozens of adrenalin-pumping rides here, including Tower of Power, the Dragon, the Volcano and Kinnaree. As well as the slides, there is also a white-sand beach, a wave pool (designed so you can surf), a lazy river and plenty more to keep everyone occupied. There are also plenty of play areas for little children, so toddlers are just as well catered for as teenagers. You don’t have to stick to purpose-built attractions during your stay, as Tenerife has more than enough natural ones to keep every member of your family happy. One particularly lovely way to spend a day together is to go on a dolphin and whale-watching tour. There are numerous boats that depart from the island’s harbours each day in search of these stunning marine mammals and, thanks to Tenerife’s location on the migratory route of many species, there is a lot to look out for. Resident species include bottlenose dolphins, pilot and sperm whales, while minke, sei, fin and blue whales, along with Atlantic spotted, striped and common dolphins are just some of the migratory species that pass by. Camel Park is a great place to come with the kids, especially if your youngsters love getting up close with wildlife. As its name suggests, there are camels here and you can ride them if you’d like to have a go. These animals are ideally suited to Tenerife’s dry, rocky terrain and this is a wonderful way to see some of the island’s arid landscape from a new perspective. In addition to the camels, this place has a farm where you and the children can interact with animals like donkeys, chickens, goats, ducks and dogs. Those are just a few suggestions for family-friendly activities in Tenerife – there are many more places to discover and things to do that are bound to enthrall kids, not least of all the stunning beaches for which the island is famous. Whatever you plan to do during your holiday, make sure you book the best accommodation in a favourable location – you’ll find lots of options here.